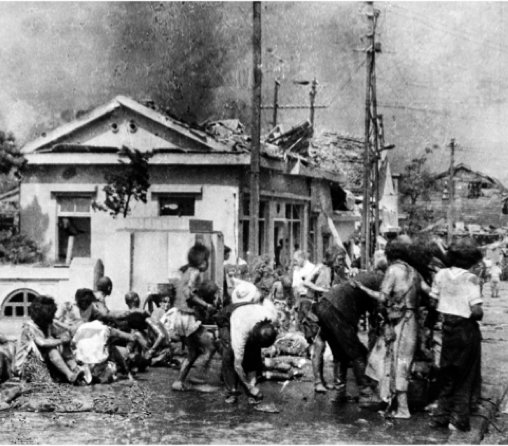 Seventy two years ago in 1945, the atomic bombings of Hiroshima and Nagasaki, Japan inflicted unimaginable suffering and catastrophic damage in those cities, resulting the death of an estimated 214,000 people before the end of the year. Many hibakusha – survivors of the atomic bombs – have since worked tirelessly with the message that nuclear weapons must never be used again, and that these weapons of mass destruction must be eliminated. Just over a month ago, 122 states at the United Nations in New York adopted the Treaty on the Prohibition of Nuclear Weapons, which outlaws the use, development, testing, production, manufacture and stockpiling of nuclear weapons, as well as assistance with prohibited acts. The treaty provides pathways for nuclear armed states to join, and destroy their stockpiles. It also includes obligations to assist the victims of nuclear weapons use and testing, and remediate affected environments. Several of the hibakusha have welcomed the agreement of the treaty, which recognises the unacceptable suffering and harm caused to them in its preamble, as a crucial step towards a world without nuclear weapons. Today in Nagasaki, the city’s mayor noted that the treaty represents action by the world’s states to fulfil “the heartfelt wish of the hibakusha that in the future nobody in the world ever again has to experience the disastrous damage caused by nuclear weapons.” He urged the government of Japan – which refused to participate in the negotiations – to join the new treaty, and called on other nuclear armed and dependent states to reconsider their positions. The treaty opens for signature on 20 September at a ceremony at the United Nations in New York. All governments that are committed to achieving a world without nuclear weapons should sign, and then ratify the treaty, which will enter in to force following fifty ratifications. The International Campaign to Abolish Nuclear Weapons is also urging parliamentarians around the world to sign its Pledge supporting the ban treaty, to encourage action from national governments. Given the catastrophic humanitarian and environmental consequences of nuclear weapons, on which the negotiation of the treaty was based, no state can justify their continued possession in the name of security – the effects of these technologies are too abhorrent. States should sign this new treaty without delay in September, and get to work on implementing its obligations as soon as possible, to push towards the world free of nuclear weapons that almost all states – including those who are nuclear armed – have stated is their goal.